Whenever people ask me what my favorite cuisines are, I would instantly answer "Chinese and Japanese" in a heartbeat. However, when I finally had the time to stop and think, I realized that I'd also like to add "Italian" in the line-up too. I guess, one reason why I love the three cuisines is because, to me, these are my comfort food. I guess, it must be the ESFJ personality in me that puts my emotions above everything else. Let me know focus on the Italian cuisine. While I haven't been to Italy to enjoy the authentic Italian fare, the ones that I've had so far are good enough to make me fall in love with it over and over again. I seek comfort in a plate of pesto pasta or even in a bowl of risotto or gnocchi. I love anything with tartufo (truffle) and I can definitely have Tiramisu (especially the one that my friend Gary makes) any given day. These are just a few of my Italian favorites and trust me, I can go on and on about it. Therefore, getting an invitation to try a new Italian restaurant here in Singapore is something that I always say YES to and I'm really so excited about. The best thing is it's located a few blocks away from my work place which means, I have another lunch place option to consider. Per Bacco means "Of Bacchus" in Italian. Bacchus is the God of Wine and you can definitely expect to enjoy a glass of good wine here or maybe two. While I'm no wine drinker, I do love the food that pairs so well with it. 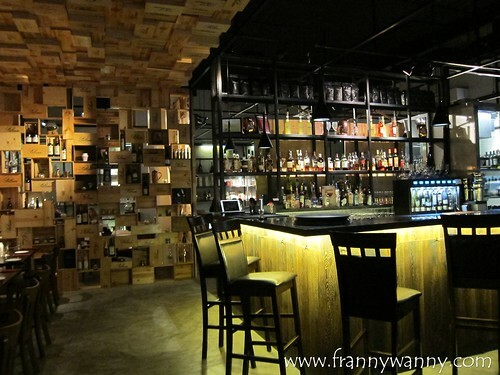 As you enter the restaurant, you'll see the wine cellar and the bar area where office people can hang out in and unwind after a crazy day at work. Walk further in and you'll see the spacious dining area. Say hello to my dinner mates who's waving at the camera! Aren't they the funniest bunch? Our dinner began with some yummy looking starters. 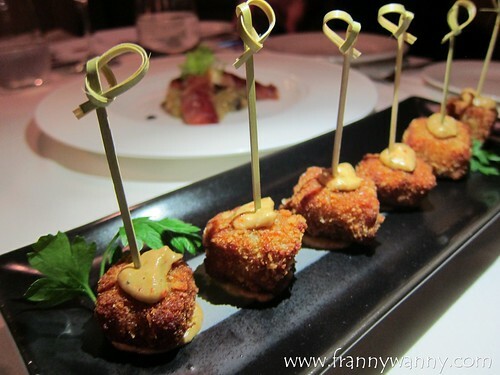 First was the Spicy Crab Meat Croquettes (S$12) which are deep-fried bite-size potato croquettes filled with fresh crab meat, ricotta cheese and a light hint of Per Bacco's homemade chili oil. I didn't detect any spicy note at all so for all who do not take spicy food, it's safe to go ahead and take a bite (or two!). I like how the outer crust was so crispy while the inside remained soft and juicy. I think it could still be a bit spicier to bring out the zing! 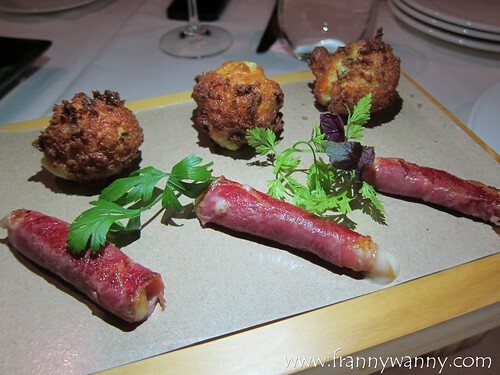 Next was the duo of Scamorza with Soft Fritters (S$14). 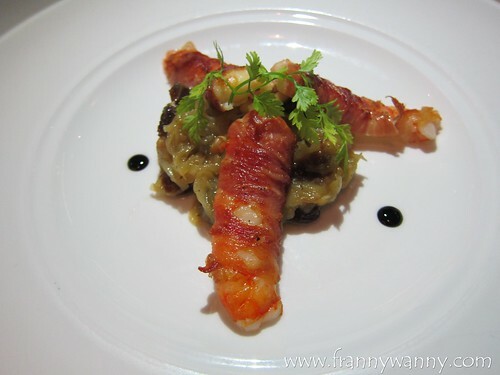 Okay, for a while there, I was so confused about this dish. Which one is the scamorza and which one is the soft fritters. Apparently, scamorza is a type of soft cheese and this is the one wrapper in parma ham. Well, as you know, cheese and ham goes perfect well like lemon and honey, salt and pepper, olive oil and balsamic vinegar and so on. While both were on the salty side, somehow, the flavor wasn't too overwhelming to be fully enjoyed. I like this a lot and I would recommend this as starters. The fritters are the deep-fried balls made out of flour, butter, peas, carrots and zucchini. In other words, it's a veggie ball! Quite clever actually to get people to eat their veggies. Moving on to our mains, we had the Gnocchi with Gorgonzola and Walnuts (S$26). Like I said, Italian food really brings so much comfort. 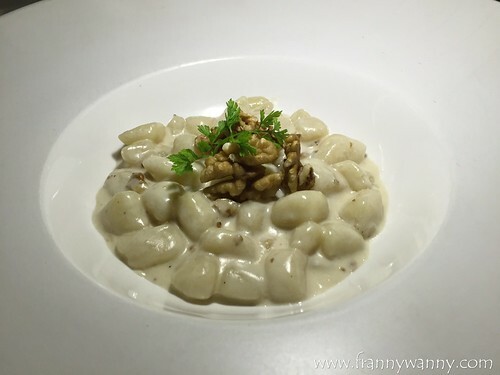 Imagine relaxing and enjoying a quiet night with a glass of wine and a plate of perfectly cooked gnocchi with creamy gorgonzola and walnut sauce. It's really hard to find good gnocchi most especially here in Singapore and I'm happy to share that Per Bacco has nailed it. 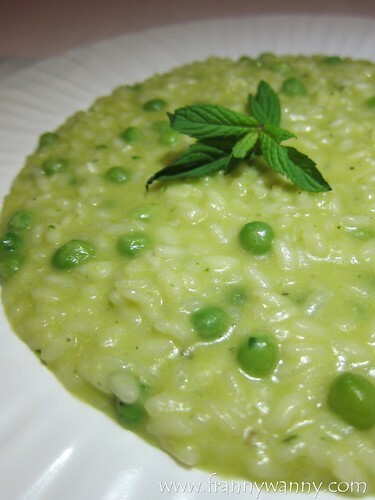 Rice lovers might want to try the Green Pea Risotto (S$20). As you all know though, I do not like green peas at all so my review on this dish was pretty much ho-hum. 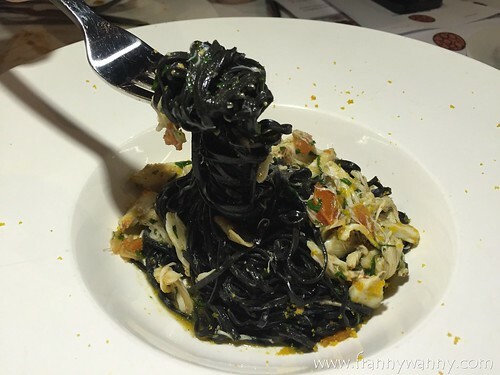 Moving on, we also had the Squid Ink Angel Hair Pasta with Crab Meat. This wasn't actually part of our dinner menu but we all felt like we gotta try their pasta since we're dining at an Italian restaurant right? Well, let's just say that this was one of the best dishes that we had that day. I love the al dente angel hair noodles and the generous serving of crab meat made this dish so good! I'd happily go back to Per Bacco to have this again and again. 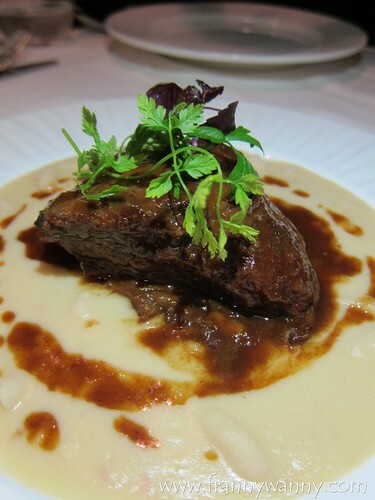 As for our meats, we had the Stewed Veal Cheek (S$34). One bite and we instantly noticed how tender it was. Well, apparently, this was marinated overnight in red wine and slow-cooked in three hours making it fork-tender. It was good but somehow, I could still detect a bit of the gamey after taste which I'm not so crazy about. It was good though and I love the creamy cannelloni bean puree that was served with it. Since I love seafood, I was so happy to have the Milk-Stewed Codfish (S$32) which is another winning dish! 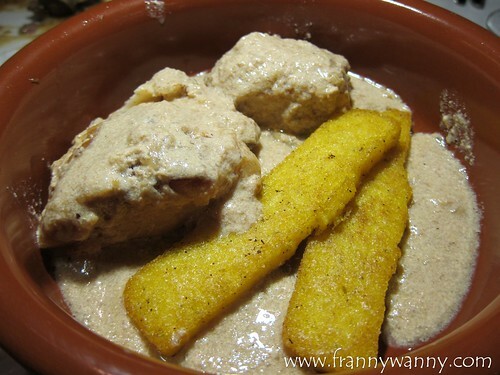 After all, how can you go wrong with silky codfish that's slow-cooked in milk, onions and anchovies. It's so creamy, comforting and delicious. Served with grilled polenta, which is the only corn product that I can fully enjoy. Oh what a filling and truly satisfying meal! I love love love every dish and was so excited for our desserts too. 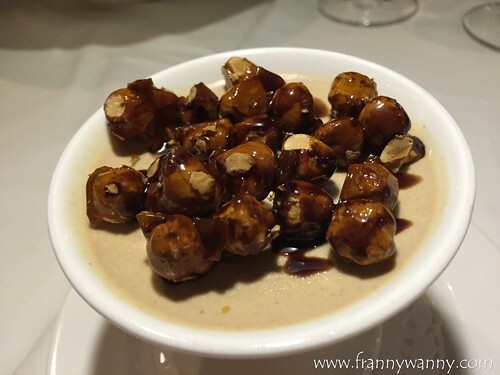 We had the Hazelnut Panna Cotta (S$12) which is a creamy masterpiece topped with caramelized whole hazelnuts. I love the creamy and nutty contrast in every spoonful. 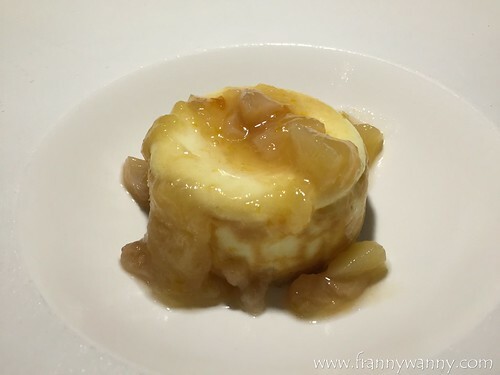 Another option was the Ricotta Cheesecake (S$15) served with peach compote. Quite good but I prefer the panna cotta as this was a bit too rich for me. 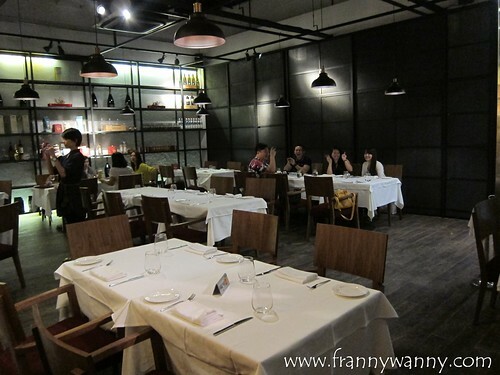 I'm so glad to have discovered another great Italian restaurant in the heart of the Central Business District. I can't wait to go back there for lunch perhaps as they have some interesting lunch sets too or for a nice dinner date with Paul. 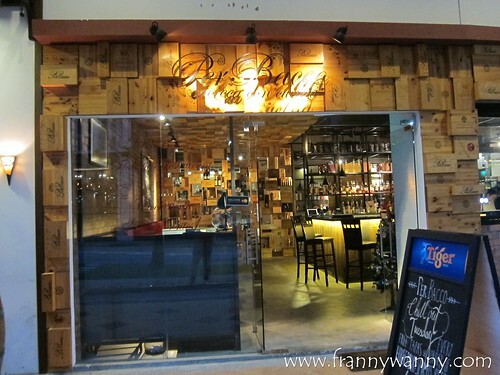 Per Bacco is located at 20 Craig Road, 01-03 Craig Place, Singapore 089692. For reservations, call them at 6635-7130 or email reservations@perbacco.sg.